Applying mascara is the most boring part of my day. Truly, so boring. 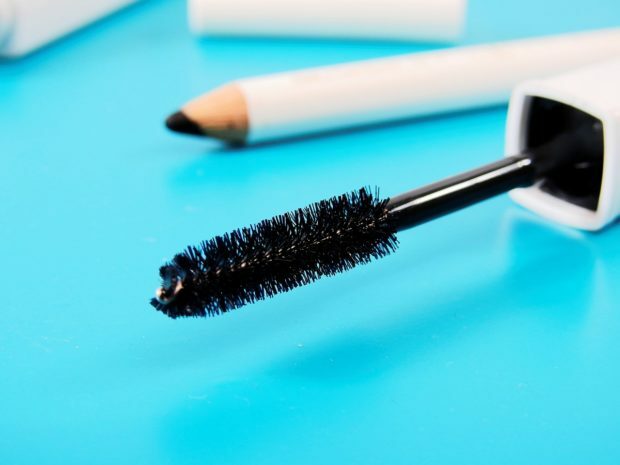 For every moment I spend applying layer after layer of volumizing, thickening, curling black goop – coating each and every single eyelash strand – I imagine my body atrophying with boredom. But the results are always worth it! They say eyes are the windows to your soul. If that’s the case, the eyelashes are the frames. Finding my perfect mascara took years, nay, a decade, because not all mascaras are created equal. Every brand, every formula, every brush is different. And no two sets of eyelashes are the same. So, rather than listing a bunch of “it list” mascaras, I’m going to teach you how to pick a mascara that works for your lash needs. First thing first, we need to break down the mascara tube and its contents. Mascara formulas work on thickening and lengthening lashes while brushes work on separating and curling. When selecting mascara, you want to look at brushes and formulas that advertise those goals. Some mascaras are really selling the brush, others are selling the individual formula. Some claim to be selling both a knockout formula and brush. Of that I am always wary. I am going to tell you something no one else has the courage to tell you. There is no single mascara that will achieve all your lash goals. I know, I’m sorry. But I would like you to open up to the possibility of introducing two, or even three mascaras into your rotation to achieve the lashes of your dreams. I know, it sounds like a big investment. It is and it isn’t. In the grand scheme of things, sure, one mascara costs money so two mascaras costs double the money. However, you can wait for sales and stock up. “But Kaley,” you’re thinking, “don’t I have to replace my mascara every few months?” And yes, you need to replace your mascara two to three times a year. It’s an investment. But, as the brands say, you’re worth it! I also need to break another piece of news to you: avoid your every impulse, and force yourself to read the packaging and absolutely do not look at mascara advertisements. I would not dispense this advice for every product but I do so specifically for mascara and here is the reason why. Multiple brands have been taken to court for falsely advertising by using ‘falsies’-otherwise known as fake lashes or individual lash inserts. Your eyelashes are indeed attached to your beautiful lids. If you have short, thin, stubby lashes like me, thick, bristly wands may deposit formula onto your lids. Therefore, I benefit from thinner silicone or plastic wands without synthetic bristles. If you have long, glorious lashes, you may not have this issue. So as much as you’re testing out the formula, you are also testing out the wand. My final piece of advice is simple: Benefit from our capitalist system and take advantage of your local drugstore or beauty supplier’s return policy! Try out multiple mascaras to find your own personal holy-grail. Now go forth and find the lash lengthening, thickening, volumizing, or curling mascara of your dreams!